BEST BUY IN TARZANA! .Easy to find right on the street, 1659 sq. 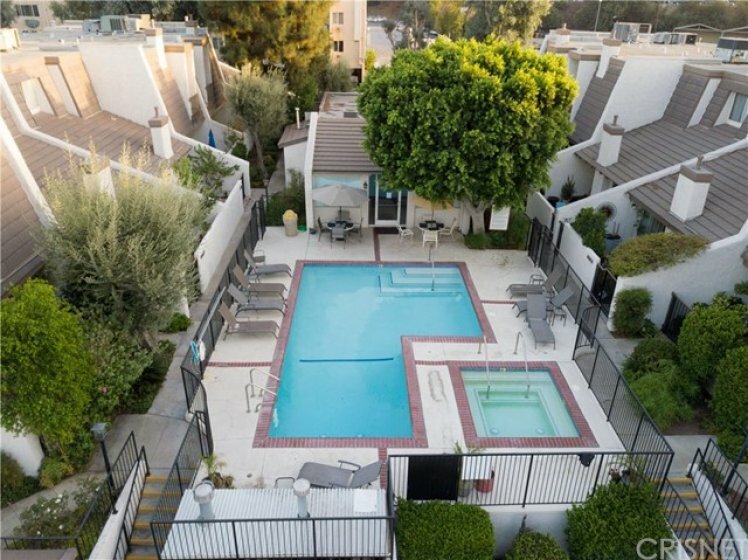 ft Tri-level townhome in conveniently located Tarzana Villa South complex walking distance to orange line, library & shopping. Great freeway access to the 101 fwy. SMOOTH CEILINGS,RECESSED LIGHTING,NEW CARPET & PAINT! This 2 master suite unit has central heat & A/C as well as wood floors in living room, fireplace and sliding doors to private patio. 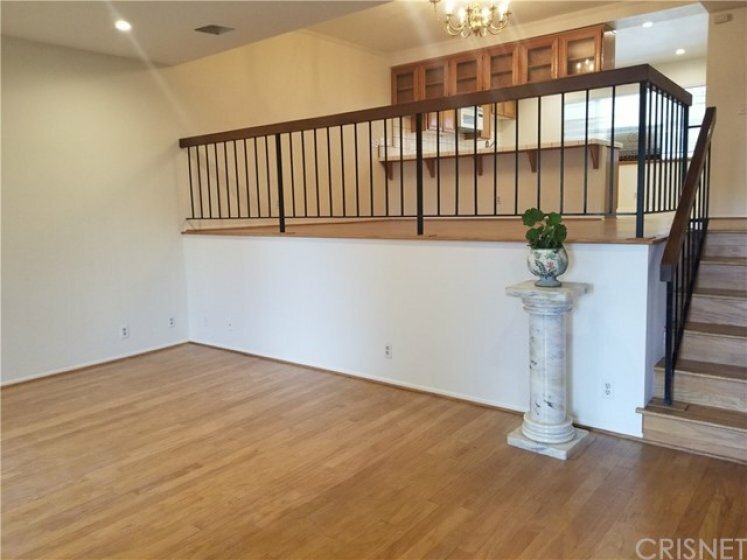 Up a few steps brings you to large dining area and breakfast bar which also have wood flooring and glass door cabinetry to show your prize pieces. The large kitchen features tile countertops, wood cabinetry, gas stove, pantry and has a separate laundry room area off to the side. There is a half bath for guests downstairs and 2 full bathrooms upstairs with the 2 master suites (one of which has a walk-in closet and balcony). Also the deep 2 car garage has some storage shelves. The gated complex has pool, spa, rec room, tennis court & visitor parking.